Start your next vacation or business trip off on the right foot with a hassle free, enjoyable ride to the airport. Border Limousine Service, Inc. provides convenient, private door to door service in luxury vehicles within New England and beyond. We have luxury sedans, vans and limousines to accommodate just about any size party. We are licensed and insured at all area airports including Logan, Manchester, Hanscom, TF Green, Worcester and Bradley International. Our well trained chauffeurs will assure that you arrive safely and on time. Our dispatchers have constant communication with the chauffeurs and are always updating them with traffic reports and airline schedule changes and delays. Sit back and relax and let Border Limousine take the stress of traveling out of your hands. Planning a trip down to one of the casinos. Whether you like to go to Mohegan Sun or Foxwoods we offer one way transfers or hourly packages to both casinos. Enjoy the whole day or spend the weekend. Sit back and enjoy the VIP treatment in one of our luxury sedans, stretch limousines or strech SUV limos. 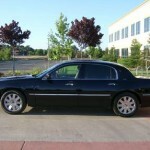 Border Limousine Service has been a leader in providing quality, corporate transportation for the past 10 years. Our dedication to providing your employees and prospective clients with the highest level of service is our goal. Our ability to deal with schedule changes along with last minute airport pickups make Border Limousine Service the corporate travelers dream. We offer special rates for our corporate clients who hold an account with Border Limousine Service. All our reservations, dispatch and invoicing is fully computerized so we can easily provide back up for our corporate clients. Direct billing accounts and credit card accounts are available for your convenience. E-mail or fax confirmation is available for all new reservations. Prom is one of the biggest nights of your life as a young adult. Everyone is all excited and looking forward to the big night! Whether you’re looking for a responsible driver for transportation to the prom or trying to meet prom-night expectations, a limousine ride is the way to go. Let our experience and reliability set your minds at ease as we make your prom night even more memorable with an unforgettable ride from Border Limousine Service. Our drivers are professionally trained, responsible chauffeurs who are dedicated to providing impeccable luxurious service but also making sure you arrive there safely and on time. 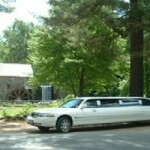 We offer sedans, suvs 10 & 14 passengers limousines. Border Limousine Service prides itself on impeccable quality service, reliability and experience to help make your wedding day transportation flawless. Our staff of professional wedding specialists will answer any questions and address any concerns prior to your wedding day to ensure your special day is picture perfect. 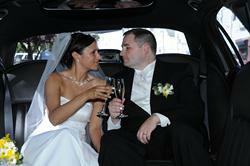 Our limos are maintained to the highest level of care and all of our packages are catered to your unique wedding plans.